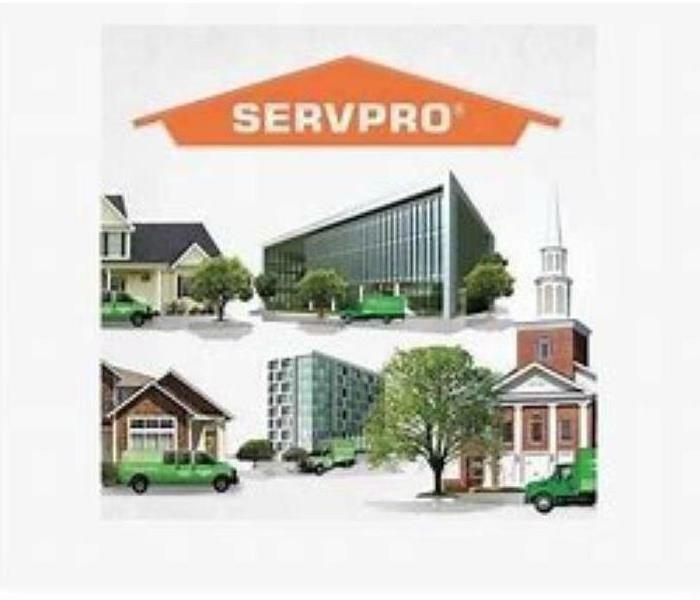 SERVPRO of Southern Trumbull County is part of an elite group of SERVPRO franchises who have the capacity to respond to Large Loss projects across the country - Large Loss Response Team. 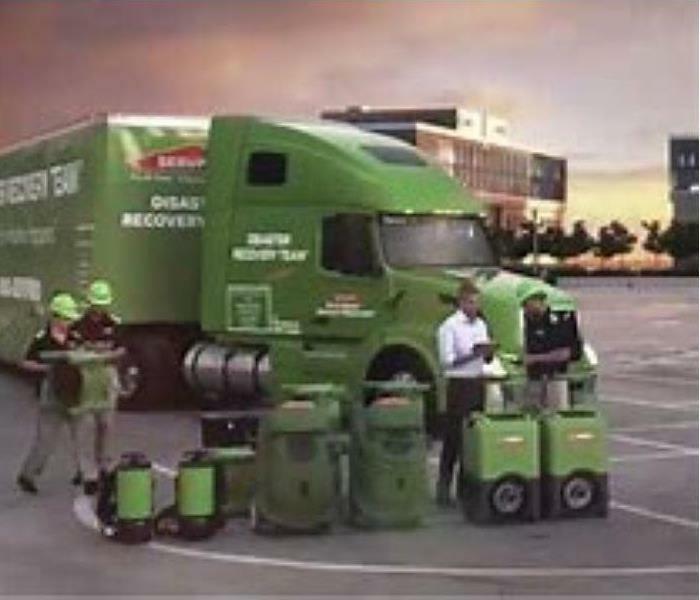 The SERVPRO Large Loss Response Teams are composed of the best of the best in restoration. Our elite large-loss specialists are pre-qualified and strategically positioned throughout the United States to handle any size disaster. Every large loss is supervised by a commercial operations manager to help ensure seamless communication and timely mitigation. We take pride in providing our Disaster Recovery Team at SERVPRO of Southern Trumbull County with the best tools, equipment and vehicles. We ensure our customers receive the best, too! When water damage occurs in your Girard, Ohio home or business, the professionals at SERVPRO of Southern Trumbull County are ready to handle the situation quickly and professionally. Rely on us to do the job. It's what we do every day! We go to great lengths to properly clean up and restore your home or business after water damage. We train our team to understand and utilize the industry standards of the IICRC (Institute of Inspection Cleaning and Restoration Certification) s500 guidelines. These guidelines will ensure that your finished job meets the expectations of the insurance and restoration industry. 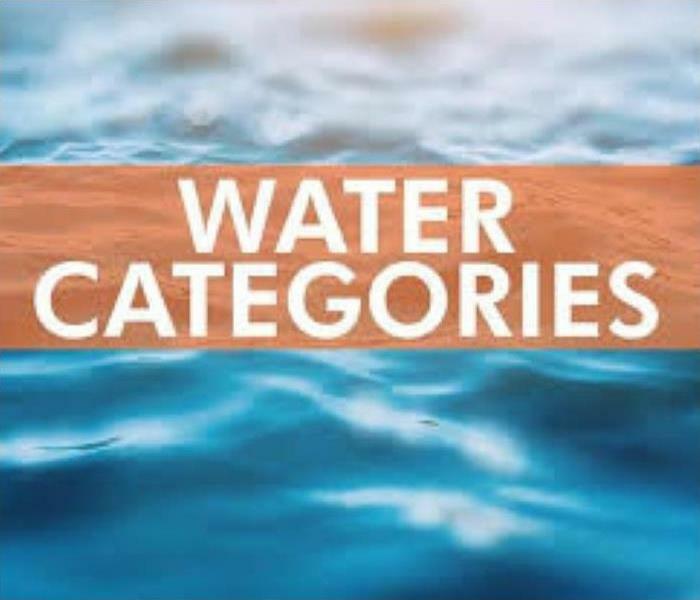 Category 1: Water from a clean and sanitary source, such as faucets, toilet tanks, drinking fountains, etc. Be aware that Category 1 can quickly escalate to Category 2 if the water passes through building materials. Category 2: Water having a level of contamination that may cause illness or discomfort if ingested. Sources may include dishwasher, washing machine, sump pump malfunctions, flush from sink drains, and toilet overflow. Category 3: Water that is grossly unsanitary. It can cause severe illness or death if ingested. Sources include sewer and drain backup, river or stream overflow, and stagnant water that has bacterial growth. 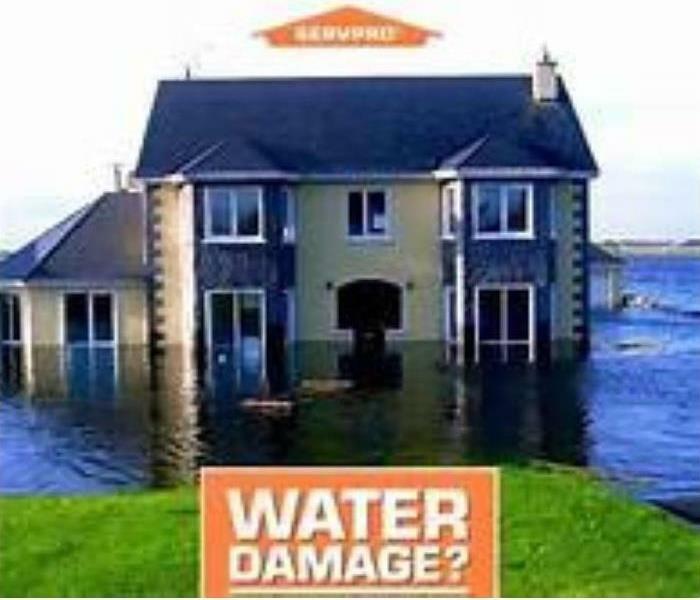 If you experience water damage in your home or business, call SERVPRO of Southern Trumbull County for 24/7 emergency services (330) 392-6355. With over 1,700 SERVPRO franchises throughout the country, residents of Warren, Hubbard, Champion, Cortland and the surrounding communities can rest assured that the local SERVPRO in Warren, OH will respond quickly to your call. Wherever and whenever it’s necessary, SERVPRO will respond at any time—even on major holidays. At SERVPRO of Southern Trumbull County, we offer around-the-clock emergency services, so when you call us at 2 a.m., we’re there for you! Our franchise at SERVPRO of Southern Trumbull County is one of distinction. We are unlike any other restoration company in the area in that we are a Large Loss franchise. This title given to us by SERVPRO corporate, indicating that we have the staff, equipment, and the training to respond to large-scale disasters. No matter how extensive the damage, we’re there to make it “Like it never even happened." When large scale disasters occur, SERVPRO of Southern Trumbull County will be quick to respond. 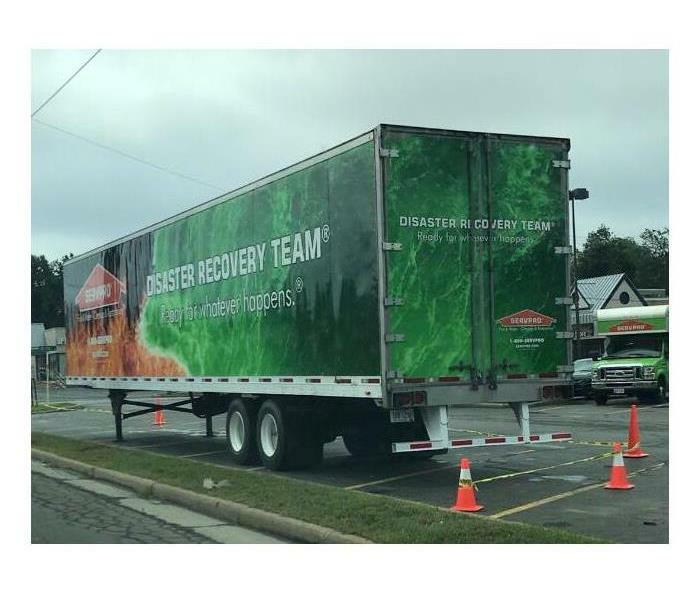 Our SERVPRO team has recently returned from a six month stay in North Florida serving the victims of Hurricane Michael and the hard-hit communities in that region. Our franchise owner has lived, worked and raised his family in Trumbull County and has served the community for over 35 years. He and his staff have responded to residential, commercial and large loss disasters in this area and throughout the country. He is invested in this community, supporting non-profits and other philanthropic initiatives. We know that as a property owner… you have choices. SERVPRO of Southern Trumbull County wants to earn your trust and serve you well beyond just the first time. We follow IICRC Standards regarding cleaning, inspection and restoration. Your property will be treated as though it were our own. Call SERVPRO of Southern Trumbull County with all your restoration or cleaning service needs at (330) 392-6355. If you’re like most people, emotions run high when your home or business has been devastated by fire, water or storm damage. What do I do first? Who do I call? Who can I trust? Will my insurance cover this? The latter question is one that brings about the most anxiety and worry as the insurance claim process runs its course. As a entity in the restoration business for over 35 tears, we find that most insurance adjusters prefer to work with a restoration company that responds quickly to damages, makes accurate assessments of losses and can produce an estimate as soon as possible. The same can be said of Commercial clients as well. Here are a few factors that may encourage an insurance adjuster or property owner to contact a SERVPRO of Southern Trumbull County first. Adjusters and property owners want to work with a restoration company that responds to reports of damage as soon as they are received. 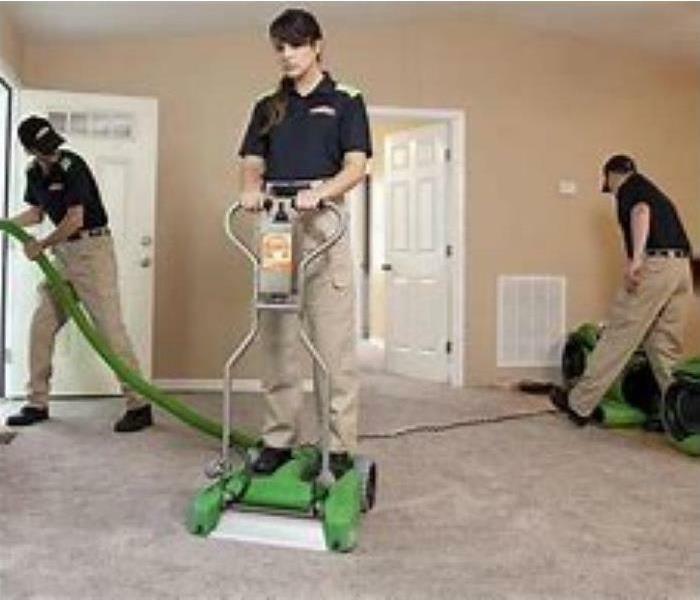 SERVPRO of Southern Trumbull County prides itself on its ability to maintain a fast response schedule. A response to your call be received with one hour. If our service is needed, technicians will be dispatched within 90 minutes of your call. SERVPRO of Southern Trumbull County provides emergency cleaning and restoration services 24 hours a day, 7 days a week—including all holidays. You can expect an immediate response anytime day or night. As soon as an estimate is ready, SERVPRO will upload this documentation to a database. Insurance agents and adjusters can access this information through the Claims Information System. Electronic Claim Information Insurance adjusters require accurate information in order to process a claim. An electronic claims system makes documents such as an estimate and loss assessments, available. Insurers can access documentation and check to make sure that an estimate is reasonable based on the costs of restoring comparable damage thus making it easier to process the claim. Timely Claim Settlement Adjusters and property owners share an interest in settling an insurance claim. The sooner a claim is settled, the more understanding the client will have as to which aspects of damage are covered or not covered. These are only a few reasons why an insurance adjuster and client may both prefer to rely on SERVPRO of Southern Trumbull County for restoration services. You can depend on SERVPRO of Southern Trumbull County for these residential services. Call SERVPRO of Southern Trumbull County at (330) 392-6355 for more information. When choosing a commercial cleaning service, one of the factors to consider is the extent of services offered by the cleaning and restoration company. The decision is an important one because you are entrusting your business’s appearance to someone else. Some companies use janitorial staffing for (general) surface cleaning like vacuuming or wiping down a restroom. Deep cleaning of the carpets, walls, air ducts and more, are not the type of services building owners have on their mind everyday. SERVPRO of Southern Trumbull County offers an array of services that meets the needs of any commercial business seeking full service cleaning. From the ceiling to the floor, SERVPRO can do more! Heavy trafficked areas can leave carpets with built-up soil that can become unsightly and difficult to clean. Carpets trap dust, dirt, and other bacteria, creating a potentially unhealthy environment for employees. SERVPRO of Southern Trumbull County utilizes a few techniques to clean carpets and upholstery. Bonnet Cleaning, preconditioning and rinsing, as well as dry cleaning, are all gentler ways of getting deep to the dirt. Hot water extraction is used to target the tougher areas. Floors endure high traffic and grime buildup as well. Sweeping and mopping are sufficient for surface cleaning but are not always adequate in removing heavy dirt. We clean tile and hardwood flooring by safely sanitizing the surface and grout with state of the art equipment and 'environmentally green' cleaning agents. Walls will collect dirt from touch, smoke and grease. A great deal of this is disbursed through your HVAC system. SERVPRO will clean walls without compromising the paint or finish. SERVPRO of Southern Trumbull County uses proprietary cleaning products to safely and effectively clean ceilings and walls. Indoor air quality is a big concern of many people. Employees spend a majority of their day indoors and should be able to enjoy a dust-free, mold-free, clean air environment. HVAC systems and air ducts are usually ignored when routine maintenance is performed. Ventilation system cleaning is necessary to maintain the proper air quality and to ensure proper functioning of the system. SERVPRO of Southern Trumbull County has the experience and know-how to inspect the ductwork of a commercial building to determine the extent of the cleaning needed. Why Call SERVPRO of Southern Trumbull County First! There's more...our team also offers: biohazard cleanup, sewage and toilet overflow, mold and water cleanup and vandalism cleanup and graffiti removal. From restaurants and hotels, to warehouse and office space, SERVPRO of Southern Trumbull County knows the importance of providing a clean, safe environment for your employees and customers alike. Call SERVPRO of Southern Trumbull County today at (330) 392-6355 for more information on commercial cleaning services for your business or commercial building. Stay connected on facebook for restoration tips and information. 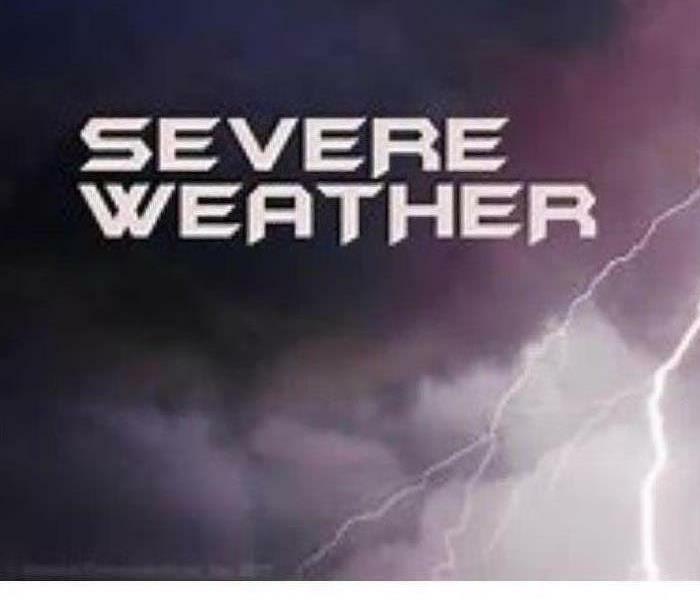 Extreme weather can occur with little warning. For most, feelings of fear and anxiety slowly creep in. If property damage is a result, that can even make matters worse. Everyone needs to be prepared. Organize your finances. When it comes to preparing for weather emergencies, knowing your financial situation is as important as a fully charged flashlight. Financial documents that are up-to-date, in one place, and portable can make a big difference during this stressful time. Know your insurance. Find out if any home insurance policy will pay for temporary shelter. You may need to replace clothing, furniture, or other items if you are affected by a hurricane, tornado, or other severe weather. Floodproof your home. If you've been a victim of a hurricane in the past, or you live where storms frequently occur, your home may become flooded. It may be wise to purchase flood insurance and have a flood response plan. The FEMA website has more information. Plan for your pets. If you are like most pet owners, your pet is an important member of your family. Animals also are affected by disasters just like us. Having a plan for your pet can insure their safety. The items listed below should be in your home at all times for any unforeseen disaster that may occur. Candles are extremely important to have in your home at all times. Know exactly where to locate them to reduce the anxiety of walking around in the dark. A first aid kit should always be in your home, whether it is to prepare for a disaster or just to treat common injuries. Flash light and extra batteries are essential during and after a storm just in case you need to evacuate your residence. It is difficult to predict how long the electricity will be unavailable, which is where battery powered radios come in handy. Water bottles and packaged food will also be needed in case household appliances are not functioning. If your property has incurred any damages after a storm or if you're in need of cleanup call SERVPRO of Southern Trumbull County at (330) 392-6355 to minimize any inconvenience in your life and restore your property back to "Like it never even happened." 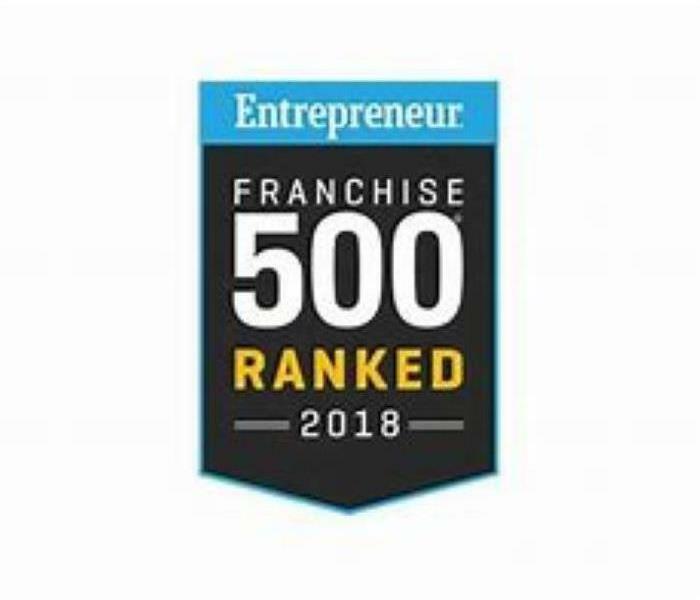 'Entrepreneur Magazine's' Franchise 500 List ranks SERVPRO at the top of the restoration services industry for the 15th consecutive year. SERVPRO of Southern Trumbull County, a cleanup and restoration company in Warren, Ohio, continues to be a local leader in that segment. Jim Dobson, Owner of the SERVPRO of Southern Trumbull County franchise, said the company has also achieved the number twelve ranking overall in the 'Franchise 500' for 2018. The SERVPRO brand was also among the Top 20 in brand recognition along with other recognizable companies such as McDonald's, Re/Max and 7/Eleven. Dobson also commented that "these results show that our industry is strong and the ability to innovate and attract new customers is what will carry us into the future." Dobson also stated that SERVPRO of Southern Trumbull County seeks strategically based alliances that share his vision to serve the community that he lives and works in everyday. "We're very proud to be a part of the best in category organization" said Dobson. "Any time we can help our customers return to their home or business following a disaster as quickly as possible, it's a win for everyone!" Follow our Facebook page here for the latest tips and information. Whenever SERVPRO of Southern Trumbull County responds to a water loss, ultimately the consumer's first concern has to do with the cause of the loss. Confirming this information can make a big difference when it comes to insurance coverage and the cost of mitigation. The differences in water damage coverage and sewer/drain backup coverage may be confusing at first, but is actually pretty self explanatory. Water damage is the 'kind' of damage and sewer/drain is a 'cause' of the damage. They are easy to confuse if you don't read policies every day. Water damage covers a broken hot water tank or a pipe break. Back up sewage coverage is for when sewage backs up into your house. This type of loss is much worse than a broken fresh water pipe for reasons of contamination. Water Damage coverage can have many different causes, but the most common is a "sudden" and "accidental discharge" of water from things like burst pipes, faulty appliances, etc. There are also secondary damages to consider such as water getting into your house after a storm blew part of your roof off or a tree branch knocked through a window. A slow leak dripping over time would be excluded as a secondary loss because it is considered a maintenance issue. A whole separate category of water loss would be floods, which is generally excluded unless you have purchased flood coverage. 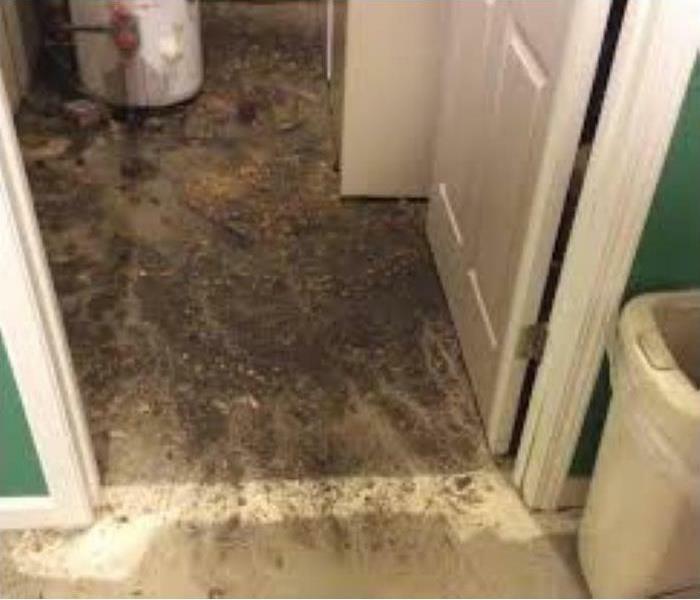 What distinguishes a 'flood' is that the water has pooled on the ground outside of your house before coming in and causing damage. Aside from the normal sense of flooding, there is also water from a downspout which enters the basement due to bad drainage or a clogged drain. Most homeowners are not aware that sewer back-up is not a standard part of a homeowner’s insurance policy. You should verify whether or not you have coverage right away, before finding out you do not have it when your home is filled with sewer water. If you don’t have this coverage on your policy, look for one that does include it and consider adding this coverage to your current policy. The cost of this additional coverage is low when you consider the peace of mind it provides. Check here for more tips on Restoration! Fire damage can be overwhelming when disaster strikes. The result usually leaves the homeowner with a smoke and soot filled home. The feelings and stress level during this time can be overwhelming and leave the homeowner with several questions racing through their head. Who do I call? What do I do first? Who can I trust? Calling SERVPRO of Southern Trumbull County is the answer to all of these questions. SERVPRO can help the homeowner with the fire restoration process from start to finish. In order to properly secure and preserve the structure, SERVPRO’s Tension Board-Up method is used. This unique process increases security for a home or business owner after the fire loss has occurred. The tension method also decreases damage to the window frame during the rebuilding and restoration process. To preserve the window frame, a sheet of oriented strand board (OSB) is placed on the exterior of the window. Carriage bolts are then drilled through the OSB directly into the 2x4's that are placed in the home's interior side of the window frame. The 2x4's are measured and cut to fit the width of the interior portion of the window frame. The carriage bolts are not drilled directly into the window frame. This results in a decreased amount of damage to the structure of the home or commercial building. 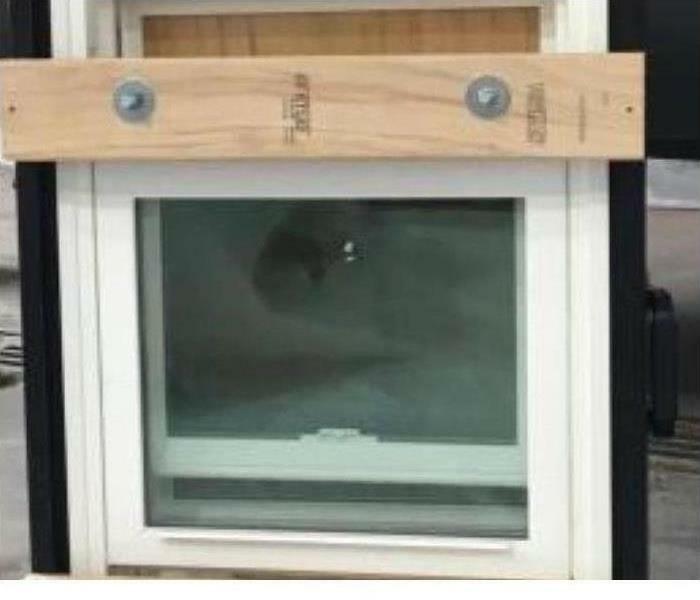 The window is then secured from the inside to increase security. Need Emergency Board Up Services? Call SERVPRO of Southern Trumbull County 24/7 at (330) 392-6355. The staff at SERVPRO of Southern Trumbull County is trained in property damage, mitigation and remediation services as a result of water, fire, smoke or mold. SERVPRO of Southern Trumbull County has trained professionals working in the cleanup and restoration of residential and commercial property. How much of the structure is affected and are contents are affected? We understand that during this time, you may have a lot of emotions running through your head at once. Stress and uncertainty as to whether your property will ever be the same. Consider SERVPRO as your guide to getting you through the disaster from start to finish. SERVPRO of Southern Trumbull County will carefully inspect the damage, determining the type of water and the area affected. This helps to create the proper plan of action that will result in successful restoration to your home or business. In most cases, hundreds of gallons of water are removed using powerful pumps and vacuums during the water removal process. The process starts immediately upon our arrival to effectively minimize further damage and prevent mold growth. After the water has been removed, SERVPRO of Southern Trumbull County uses specialized equipment to target the water that is harder to access. We strategically place a number of air movers and dehumidifiers that draw the remaining water and moisture from your property. Water damage, most likely, has a profound effect on the contents of your home or business. Items such as furniture, clothing, and personal items become compromised. SERVPRO of Southern Trumbull County cleans and restores items using state of the art cleaning techniques and machinery. They sanitize with antimicrobial treatments and remove odors using industrial air scrubbers and fogging equipment. Finally, restoring your home or business back to its pre-damage condition is what SERVPRO of Southern Trumbull County does best. The restoration step can be minor, such as replacing a few drywall panels, or could include major reconstruction, such as rebuilding entire rooms in a home or business. After a water loss, if necessary, we pack-out everything that needs cleaned, restored and made free of contaminates. We clean it at our facility and then place it in temporary storage until the reconstruction/rebuild phase is complete. Follow us on facebook to stay connected. 'Like' our page and visit us frequently.